For the last millennia, the currency of food, beverage and retail brand marketing has been awareness generation. More money has been spent in pursuit of the holy grail of being top-of-mind than any other single objective; for the oft claimed reason that awareness ideally is supposed to drive consideration and purchase. Or said another way, it’s based on the self-reverential belief that if the consumer sees a product message enough times they will buy because, after all, the product is so alluring and necessary. What if this point of view were wrong-headed and spending dollars devoted solely to awareness creation tactics was akin to spraying water in the desert in the hopes that crops will magically manifest themselves? There may be some benefit to being continuously present for low involvement categories but even there, awareness doesn’t automatically ladder up to brand preference any longer. Significant cultural shifts have reframed the paradigm on how brands are built that favors mattering and deeper meaning over spraying product claim messages everywhere. The focus should be on narrow-casting to an engaged audience rather than broadcasting in an effort to capture every eyeball. Mission, relevance and lifestyle connection are more important than being ubiquitous in today’s marketing best practices. This brings us to banishing one myth at the start: you don’t need to appeal to everyone to be amazingly successful. In fact, the 80/20 rule prevails in many food and beverage categories — most of the revenue and profit will be derived from a relatively small cohort of committed users. However, despite evidence that consumers tune out most of the overt marketing noise around them, we find ourselves at Emergent in the midst of frequent conversations about metrics and measurement that mostly calculates assessments of awareness building. Call it a hold-over from the Madison Avenue era, the enthusiasm for tactics in pursuit of that goal remains a dominant conversation in some annual strategic plans and spending priorities. What if there were a better, more cost efficient and effective way to go to market? Today, trust is the currency of successful marketing between consumers and product or retail brands. Trust cannot be ordered up from central casting. It must be earned through how the company and brand conducts itself and how its purpose is defined and brought to life. Here is the simple truth: building trust is more cost efficient than chasing awareness. Yet companies typically outspend efforts to convert and retain customers by a 42 to 1 margin in favor of awareness building tactics. Hard to let go apparently. What if your best customers ran your marketing? Well of course the first push-back would be they don’t know what the company knows about the product, brand or retail deep background on features and benefits, and further they aren’t versed in the details and strategies of positioning and marketing messaging. A moment then to pause and reflect. Feature and benefit type selling isn’t what it used to be. In a marketing environment filled to the brim with claims, assertions and hype, people increasingly find it hard to believe any of it. Additionally, consumers work overtime to avoid overt, interruption style marketing tactics. What they do understand is their own hopes, wants, dreams and aspirations. When marketing works to align with what’s relevant to your best users, the effort takes on a whole new meaning. The goal of your strategic plan is to earn trust and that won’t happen when talking ‘at them’. What does a trust creation engine look like? You have to understand and care about their interests first, before yours. This requires some investment in insight research designed to better analyze what they care about. Assumptions in this area are often off the mark. 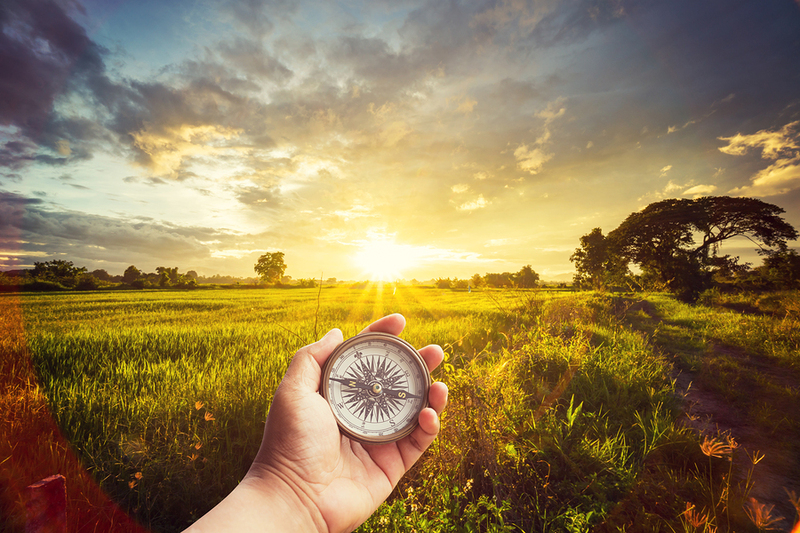 Map ways your brand can make a real difference in their lives. Be intentional here. Effectiveness is achieved when your plans and messaging align the brand and business as an enabler of their hopes, needs and answers to their concerns. Be transparent and honest in your actions, business practices and communications. No more ivory tower thinking, which is now made of glass anyway. Extend transparency to openness about product creation, standards, supply chain and other aspects of how the business operates that your best customers will want to know more about. Create outreach programs around content that is relevant and meaningful to them. By definition this requires being less self-absorbed in what is conveyed. This will require a disciplined effort to refrain from the all-too-common trope of shameless self-promotion. Look to create and optimize the experiences and interactions consumers have with your brand to ensure they’re walking away with something of value (not money) to them beyond the transaction. To inform this effort, it is vital for the company and brand to build and understand its unique higher purpose and mission that transcends commerce — and creates a runway for communication around issues of meaning and importance to people and their values. Make doubly sure the company’s actions, policies and behaviors align with the mission. When ‘mission’ appears to be bolted on as a marketing maneuver and not an expression of true belief, it will fall flat. 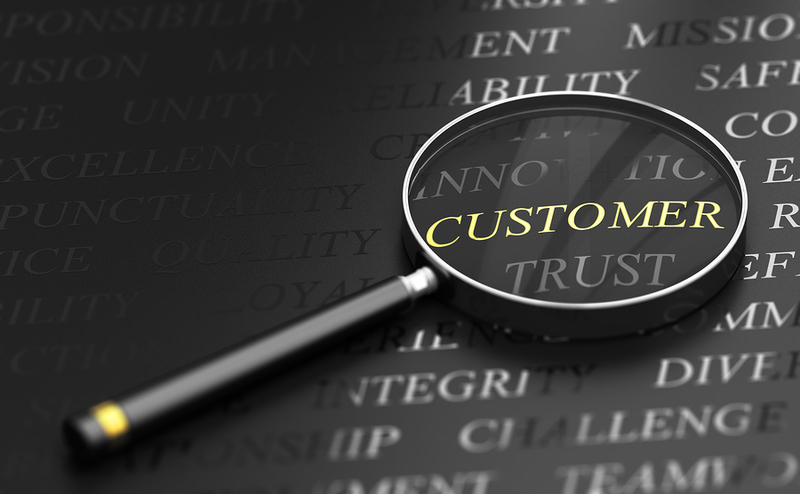 Want to have a more meaningful relationship with your best customers? Then imbue your brand with greater, deeper meaning. No amount of marketing magic can save a soulless business or an unremarkable product. The goal of the business is to strive daily to be special, unique, memorable, useful and valuable. The foundation on which your customer relationship is built has to be about more than the product alone. That said the product is in many ways your true north so investing in quality at every point in the customer experience is now table stakes. Without trust there is no possibility of a real relationship and the business will eventually become a commodity bought on price. Anchoring the marketing plan to trust creation is the path now to sustainable growth. It just also happens to be a less costly journey than chasing awareness for the very reason that focusing on the consumer’s needs and journey doesn’t require massive amounts of media to become sticky. Cultural shifts and changes impact how consumers treat eating occasions. This condition becomes even more important as people no longer build their schedules around mealtimes. The script has flipped and thus mealtimes are arranged to facilitate the daily schedule. In this new world order that puts time and where it’s spent at a premium, distinct functional requirements have surfaced around the consumer’s objectives for breakfast and lunch. Breakfast now orbits the purposeful necessity of energy needs and is often governed by habit and routine. It’s also subject to elimination at times. Whereas lunch often falls victim to another evolving behavior – snacking. Like the start of the day, lunch serves as another fuel-stop to drive the personal engine, often while navigating a complex schedule and a fluid set of time priority constraints. Dinner continues to hold steadfast as the clear winner in time devoted to food thinking, planning and engagement – offering a unique opportunity for brands to become enablers and participants in a personal and social culinary journey. Dinner is a food-forward rite where the meal and menu serve as a means to elevate enjoyment, self-esteem, creativity, exploration and social engagement. Breakfast, lunch and snacking reside in a practical, efficiency zone. The consumer’s brain-time investment is just different than dinner. In the evening, according to The Hartman Group’s Transformation of the American Meal report, the experience around food and preparation takes on a higher level of priority and added meaning. What does the consumer aspire to do with dinner? So, the logistics around dinner are on another level entirely for food sourcing, creativity, time spent and energy invested by home cooks and their helpers. Simply stated, dinner is less routine, not snack-ified and works to satisfy the yearning for shared food adventure. As a marketer could you find more fertile territory for engagement than the one meal occasion where inspiration and help are clearly needed? Dinner is rich connection territory and we’re not just talking about flavor profiles. Dinnertime is an open field for resonance exploration and relationship building for both CPG food and foodservice. When the day has been too mentally and maybe even physically taxing, outsourcing the evening meal is on the agenda. That said we know from secondary studies that people prefer home-cooked meals when they can do it and believe those meals are universally healthier – as home cooks are able to control ingredients, preparations and portions. However, when scheduling overload collides with evening mealtime needs, restaurant and other “do it for me” solutions hold sway. Meal kits sit in an interesting position as low-risk enablers of culinary exploration, while also making it easier to deliver a high-quality meal with less effort mentally and at the stove. Ordering food for delivery or visiting a restaurant shifts the balance of time investment from culinary work to social interaction – an important component of the evening mealtime experience. The eco-system of needs and requirements for the evening meal is a place where brands can play a pivotal role. Key direction: help make dinner meal planning and execution more enjoyable. Health and wellness – key to lifestyle preferences across the board. What’s the bulls-eye? Helping people bridge their interests between healthy ideals and indulgent desires. Now that higher quality food experiences have become the new healthy, the door is open to blending these two universal human needs. Palate planning – for the most part dinner has increasingly become a just-in-time mini-shopping event as people, often coming from work, stop at the store to shop for menu ingredients. Right there is a moment of uncertainty that can become more purposeful with the right menu ideas and curated shopping lists. 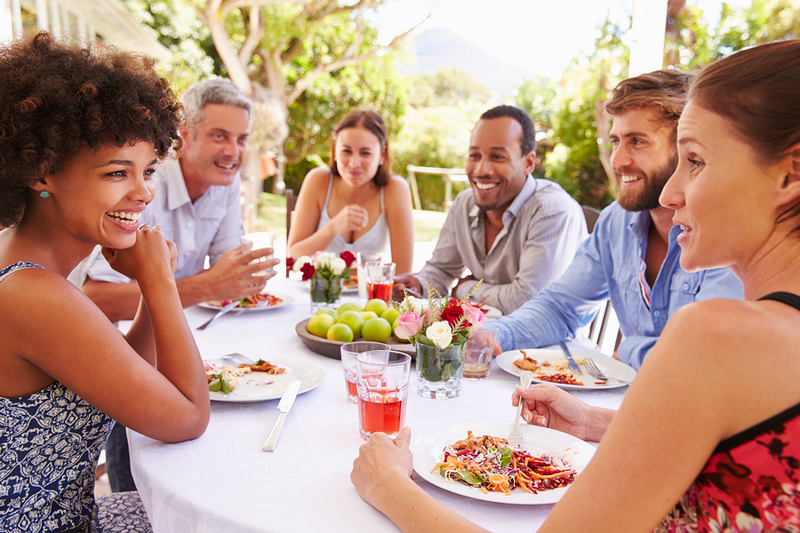 Social connection – the social milieu around dinner is an interesting pastiche of enlivened senses, warmth, close attention and enjoyment that enables sharing and conversation. The dinner table is more than a piece of furniture. It’s a place where memorable moments and personal connection are served right alongside the main course. If effective brand communication is dependent entirely on its relevance to consumer interests and passions, then imbuing your brand with greater meaning becomes paramount in making marketing investments work. Knowing this, dinner is an important moment and opportunity where need and fulfillment are open territory for brand helpfulness. Also vital to note is the significance that food culture informed strategies play to secure consumer engagement in social channel and content marketing outreach programs. Said another way, it is often the absence of cultural resonance and connectivity that dooms brand communication to the vast pile of ignored messages. It’s our job here at Emergent to monitor these cultural and consumer-insight conditions so we’re able to respond strategically and creatively for the brands and businesses we represent. If your strategic plan isn’t feeding and exploring these important moments of real-life consumer connection…then you’re potentially skipping the marketing meal that offers the greatest opportunity for engagement and brand growth. Last year was, if anything, another period of transformation for the food, beverage and lifestyle business as new and emerging brands took the spotlight for innovation and growth. In 2018 the impact of these conditions will require a shift in thinking and planning, as brands, both new and legacy, navigate in a business environment controlled and managed entirely by consumers. At Emergent we are obligated to stay at the forefront of these cultural changes; providing guidance and strategic leadership to our clients and business community on how best to traverse the unprecedented pace of evolution in consumer preferences and behaviors. In this article we will unpack four conditions impacting the future of food, beverage and lifestyle brands in the year ahead. And flag four traps that, if left unattended, could dilute desired marketing outcomes. The single most important insight we can provide on marketing and communication is the requirement of story behind the product. Consumers want to know everything – to peer behind the curtain and go back stage to see how things work. That means we’ve entered the era of real-vertising: honest, open communication around ingredients, sourcing, sustainability, quality standards, craftsmanship markers, and product creation providing the litmus test of what should be at the center of brand and business communication strategies. How does this play out in the plan? All messaging and content must work in aligned fashion with social channel integration and community building. Consumers believe the opinions of other people – especially those of friends and family members – as they are more relevant to them and operate in their best interests, ahead of a brand’s own published material. Thus, aggregation and repurposing of User Generated Content (UGC) will be critical in the brand communication eco-system. Video is by far and away the most preferred and shared type of content. No surprise as it is one of the most engaging and entertaining forms of communication in the toolkit. The role of influencers and earned media continues to grow because of the trusted source factor that defines what works vs. what doesn’t. Digital channels allow for amplification (some of it paid distribution) and repurposing of earned and influencer content, so earned media becomes a more measurable asset in the arsenal. 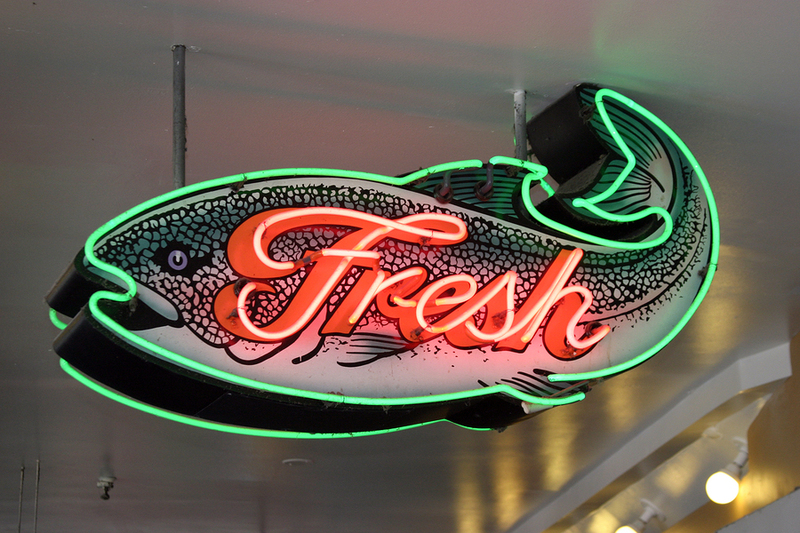 We’ve been saying this for some time as a forecast of further evolution in food culture. It’s now a verified reality borne out in the marketplace. Examples keep piling up of higher quality fresh products and more innovative versions of legacy brands, displacing the latter while the former gains more shelf space. The premium, artisanal treasure hunt marches on! What’s driving this? Consumers are demanding higher quality food experiences. Cleaner labels, real food ingredients, fresh products, less-processed options secure greater share position for the very reason people believe they are healthier and thus will contribute to their well-being and happiness. Indulgent and healthy are no longer polar opposites, and often coalesce together as accepted experiences in a healthy lifestyle. That said, there is a trailing requirement for real food over anything that appears to be overly processed. For legacy businesses this condition recommends a wholesale rethinking of product platforms, formulations and supply chain in an effort to upgrade and bring greater premiumization to the innovation table. Related to the previous point about importance of product narrative, if there isn’t a compelling story to tell about ingredients, sources and quality, then there’s risk now to brand relevance. Saying, “but we’ve always done it this way,” or “it’s difficult to change our supply chain commitments” is simply going to put the business in conflict with consumer preference. New upstart, high quality businesses are advancing across a broad swath of categories from staples like mac and cheese to the meat case. We predict the meal kit business will continue to consolidate and evolve – and that it’s likely food retail will get invested in the business. The fundamental premise of a food kit is consistent with consumer preferences. Consumers are looking for fresher, higher quality meal experiences featuring ingredients with a backstory, and menus that deliver low risk experimentation with new flavors and cuisines. We also forecast continued improvements to food kit business models making them less onerous on expensive subscriptions, providing greater ordering flexibility and ease of preparation for those who want less challenging menus. It is food-adventure-in-a-box that gives consumers an attractive meal option and step-by-step instructions on how to execute. That said, as food retailers move into this space with fully prepared, semi prepared or scratch cook alternatives, the advantage of being able to decide a menu at a moment’s notice, we believe, will be extremely attractive to a significant segment of the consuming public. Simply said, many households don’t plan ahead for dinner and are making preference decisions at 5 pm. It’s a form of impulse meal buying that, if available at an attractive price, will help food retail gain additional shopper traction. Could this presage more mergers of food retail with food kit operators? Perhaps, so. Call it what you will – mini-meal, fuel up or reward – snacking is a predominant behavior across all day parts and is influential in the foodservice channel as well. Snacking starts early and goes late as consumers both young and old graze their way through the day. Some of this behavior is functional and related to recognition that the human body will periodically experience lagging energy levels requiring replenishment. People now recognize the connection between food and performance, thus a compelling reason to look for hand-held options that deliver energy-enhancing protein in meat, veg and dairy forms. Snacking crisscrosses indulgent and good-for-you needs with portions that seem manageable in a healthy living view. (I’m snacking on almonds as I write this). With added pressure for performance in work, school and outside pursuits, functional snacking is likely to be a major opportunity in the year ahead for innovation. We expect retailers will devote more in-store real estate to brands in this space. There’s no question that consumers look for brands with similar beliefs and values. Operating with a mission that transcends commerce itself is now a marker of a brand’s cultural relevance. In many instances new and emerging brands are built alongside a mission designed to benefit others and contribute to making the world a better place. Authenticity couldn’t be more important. Consumers are able to sniff out posers in relatively short order. Mission is not philanthropy. It is not something that’s bolted on to the marketing plan as a campaign theme because it’s popular now. A real, human-relevant, and unselfish purpose is a purpose – and in the long run devotion to it will indeed maximize financial performance. Absence of real beliefs here is a trap. Want to build a closer connection with core customers? Then imbue the brand with greater meaning based on relevance to their lifestyle passions and interests. Consumers can’t be viewed as walking wallets nor should the marketing plan stray towards looking at the customer relationship as purely transactional. The brand’s voice gets added value when its connected to the consumer’s interests, be that their love and relationship with a pet, passion for outdoor lifestyle adventures, or desire for creativity in the kitchen. When the conversation with consumers begins with what’s relevant to them, then marketing no longer looks like traditional marketing. Instead it becomes valued and useful. Conversely overt selling is a trap and path to disconnection. Lack of consumer trust is perhaps the most significant destroyer of businesses over time. Instead, brands built on earning trust gain competitive advantage in the marketplace. If trust creation is not a core component (active not passive) of the marketing plan it’s time to step back and reassess. Brand relationships today are taking on the give and take characteristics of human relationships. No lying or deception allowed. To earn trust means putting the consumer’s welfare and wellbeing at the forefront of strategy. Not doing so it a trap. Trap #4 – do you really know me? It’s easy to think that as long as the business is devoted to making a quality product and standing behind it, then all is well. Yes, high quality is required. However, there’s more complexity now in building sustainable relationships with consumers. This goes beyond knowing what flavors they prefer or their patterns of shopping behavior. It’s vital to understand the whole human, their desires, wants, needs, interests and concerns. Today there are more tools than ever before that permit a closer look at customer lifestyle interests. Making the investment here to get close and gain greater understanding of wants and needs beyond product use, is the link to more engaging brand communication. Too many emerging brands sidestep this important insight research requirement because the demand for building basic go-to-market infrastructure gets first priority. Yet the very thing that sits at the core of long-term success is neglected: consumer insight and relevance. Brands are built on the back of mattering. Basing communications on hunches and assumptions about what’s meaningful and valued puts the marketing plan into a blind spot. Avoid the irrelevance trap by mining insight. The year ahead will be a tug of war between competing channels and sources of higher quality, unique and differentiated food and lifestyle experiences. The winners in this battle for share of spend will fall to those who put the consumer first – and by virtue of doing so reap the benefits of deeper connection. 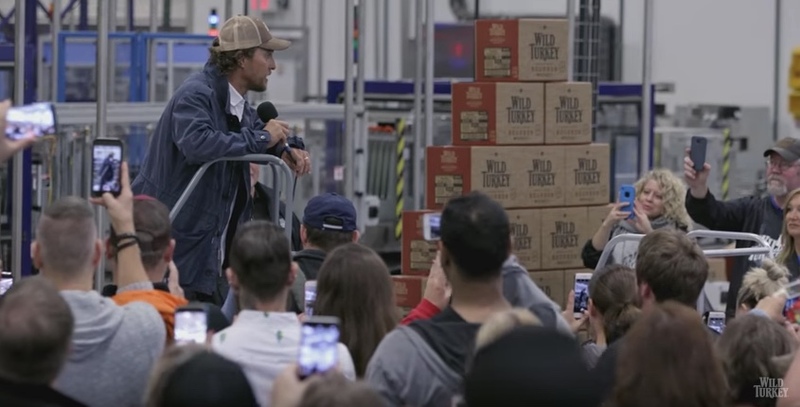 Awhile back we took note that actor Matthew McConaughey had signed on with the Wild Turkey brand as marketing and creative director. Seemed at first like a bit of a stunt, however if their latest venture is any example, this pairing has inspired some relevant thinking served with effective outcomes. So often in the adult beverage and spirits category we see the same tale told about distilleries and barreling, liquid aging and founder legacy. You can almost write the pitch from brand to brand and interchange the names; it’s an old saw of sameness laced with differing graphic elements. But marketing has evolved in the face of seismic changes in how consumers behave and how their relationships with brands are built. Authenticity counts – as we heralded in our last post. So, how does this play out in the real world with Kentucky bourbon? McConaughey and his colleagues at Wild Turkey mine the zeitgeist of deeper connections and meaning with an inspired idea to bring fresh turkeys at Thanksgiving to nearly every household in their headquarters town of Lawrenceburg, KY.
Two hundred and fifty employees fanned out to bring 4,500 Butterball®-donated turkeys to homes – while a video crew captures the adventure in real time with McConaughey ringing doorbells. Local families opened their front doors in astonishment as the Hollywood moment unfolded in front of them. First, the video is surprising and engaging. McConaughey himself is humanized in his role as the deliveryman of holiday cheer and thanksgiving. The reaction of people experiencing the moment was emotional, and we get to participate with them in their amazement at the generosity and celebrity touch. The video itself is simple and captures the experience as it occurs. There’s no overt brand messaging in the traditional sense. But there’s more going on here than meets the marketing eye. It’s engagement and mattering when so much of what passes for marketing misses this objective. We witness straightforward, honest, entertaining and emotional communication with real human value at its core. Just brilliant. This will do more for the brand than a 100 of the bottle beauty shot ads with a glowing amber pour. It’s inspired thinking that honors how marketing has changed in the era of relevance to consumers and their lives. Additionally, Wild Turkey also donated 50,000 Thanksgiving meals to Share our Strength and another 580 turkeys to the town’s food bank. The entire project served as a launch pad for their “Friendsgiving to End Hunger” campaign aimed at securing additional matched donations to the charity partner. Here’s the sign-up landing page. Perhaps we could call this approach real-vertising. It’s unexpected, honest, authentic and told in real-people terms. The Turkey distribution is a worthy cause and backed by extensions that help others in true need. Great thinking. A higher purpose served. As someone who has never been much of a bourbon drinker, I feel compelled to go out and purchase a bottle. And that’s saying a lot for someone who considers himself more of a creative critic and creator than marketing target. 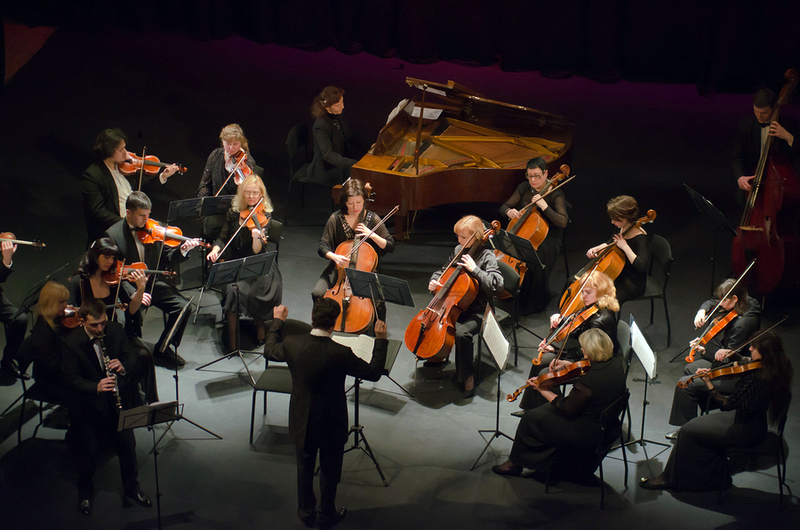 Is PR ready to move from instrument to orchestra leader? Perhaps the harshest lesson for anyone in food and beverage marketing is the stark realization that persuasion no longer works. Persuasion was a welcome, business-friendly concept because its DNA was founded in brand-built, self-promotional messaging: here’s our product and why you should buy it. Cultural shifts and behavior changes have transformed the shape of effective marketing from “talking at” consumers to “helping guide.” Consumers now rule the relationship – thus forcing changes in today’s marketing best practices and the service mix provided by agency partners. When I first started in the agency business, public relations was primarily the sum of its media relations parts. Editorial media placement defined the marketing PR discipline, springing from its press agent roots in the post World War II rise of global agency companies. As the consumer packaged goods industry grew so did public relations. Its value exemplified in the context of cultivating third party, credible advocacy by a journalistic media source – one that was perceived to be unbiased and thus believable. The marketing PR theory at work then: people in all demographic segments would consume media in print and broadcast forms to engage in the content – news or entertainment – while ads revolve around the perimeter searching (again and again) for attention. Getting your product talked about in the well of content was the ultimate in “intrusive” message delivery; wearing the aura of independent, reportorial endorsement. Controlled message and frequency were never in the equation like advertising, however, extended and cost-effective reach lived within its core proposition. Mass media lived well with mass communication strategies. Ogilvy (I was there for 11 years), in an effort to gain greater effective traction on behalf of its consumer branded clients, built an integrated proposition called Ogilvy Orchestration. It was an effort to bring symmetry and alignment between ad, PR, promotion and direct marketing services. While the concept had merit, its execution occasionally misfired due to competition between the various operating companies jockeying for the pole position of strategic client leadership. It was an early form of integrated thinking, yet, more about creating synergy among agency disciplines than a concept built to optimize and leverage consumer behavioral insight on the client’s behalf. Let’s start by staking a claim: integrated communications – built around consumer lifestyle relevance – is the path forward for effective brand communication. The consumer, for the most part, is in charge of how, when and where they engage in any and all brand messaging and hence, are in control of the relationships they choose to have with brands. Hence the tools deployed might blend earned media in the form of publicity, or branded content, or social channel conversation, or influencer engagement, or improved forms of advertising built around help over hype. There’s an old adage, if the only thing you sell is a hammer then the answer to every problem is a nail. So true. The Internet has facilitated consumer control over media channels and consumption. So there is easy avoidance of anything that walks and talks like traditional marketing. This condition ushered in a new marketing paradigm and tool kit – a decidedly less transactional model founded in relevance to consumer lifestyle interests, passions, needs and concerns. Along with it, the current digital media eco-system literally demands a more conversational, straightforward and authentic form of communication. I would argue that PR brains are well suited to this task given the history of focus on editorial sensibility around “educating” versus the conventional solution leaning into cinematic salesmanship. Today, brands must become partner, coach and guide to their audience as an enabler of their lifestyle goals. It is in this method of marketing reciprocity that more meaningful relationships between brand and consumer can be formed. It begs and answers the strategic question: in what ways can the brand improve the customer’s life? At Emergent, we appreciate the shift to mattering and deeper meaning, rather than singularly advancing product features and benefits. The mattering construct requires businesses to fully operate in the customer’s best interests – which historically was a core principle that sat underneath the value proposition of public relations. We believe integrated communication is a fundamental requirement for effective marketing strategy. Agencies that understand and can execute this fully will remain a vital and valuable resource to clients. That said, it requires some modifications in operating behavior from the typical PR model of fielding tactical teams of publicists and creators of editorially-sensible material. Integrated communications involves assembling an orchestra of expertise: part management consultants, part behavioral research experts, part brand strategy planners, part creative and producers of relevant content in a variety of media forms. So, for clients and agencies looking to leverage integrated communications in earnest, the talent mandate must answer the call for integrated thinking. Inevitably, this will redefine the skill set requirements for firms who expect to provide the highest levels of value to their clients. Integrated thinking informs integrated plans, which leads to successful integrated execution. In Part 2 we’ll take a closer look at the elements of the new integrated marketing tool kit.